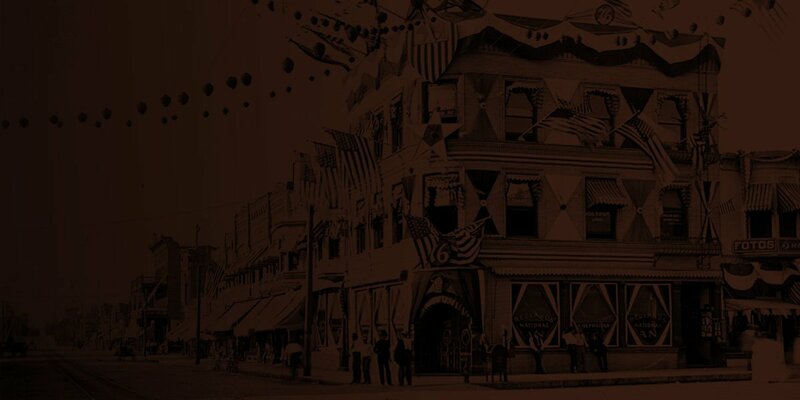 Lon G. Haight, one of the sons of Ira C. Haight and president/manager of the Haight Fruit Company, had this fine brick building erected on Fifth Street in Redlands in 1890. Both Lon and his father arrived in Redlands in 1882 and immediately became involved in fruit packing but President Harrison appointed Ira postmaster in 1899; causing him to be less involved in the fruit industry. As this was the first packinghouse constructed in Redlands, it was used by the Redlands Orange Growers’ Association, which was one of the first collective marketing operations in Southern California. The brands of oranges the company introduced were the Poppy, Chief and Moon according to Illustrated Redlands (1897). 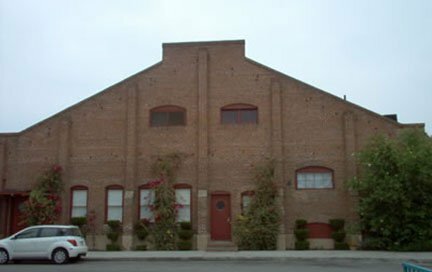 Described as one of the “most monumental (buildings) in Redlands”, this 9” thick walled two-story red brick rectangular building standing alone next to the railroad tracks measures 72 feet by 120 feet. The roof is gabled with a steep parapet on both ends of the building. It is decorated with piers, which begin as part of the concrete foundation and then become brick pilasters, which extend almost to the top of the front and back facades. Remarkably, although not visible from the exterior, these concrete piers provide the foundation for the huge solid redwood timbers, which are holding the roof up. Thus, the brick exterior walls are not supporting the roof of corrugated metal. There are several windows on the first floor but only two openings just below the parapet on the second floor. All of the window openings have Romanesque brick lintels. In 1891, Haight added a wood framed storage room. Six partners, designated as Poppy Chief and Moon Group but better known as Bob Clark, Mark Gordon, Eric Munson, John Goddard, Craig Chamberlain and Leon Armantrout, bought the building in 1998 from Scott Plastics of Florida, who acquired it as part of their purchase of Frank J. Mitten’s letter business. It had sat abandoned for several years and was threatened by demolition plans and a fire started by transients. The Redlands Conservancy, dedicated to the preservation of historic buildings and other features of the community, gathered a group of volunteers to clean out and board up the building. Then they found the group of investors to purchase the building. Today the building’s effective adaptive re-use is apparent. The building has been brought up to current codes including fire sprinklers, electrical, lighting, heating and cooling systems, plumbing and seismic retrofit. A new parking lot has been created on the southerly portion of the property and the site has been landscaped. The Redlands Area Historical Society thanks Poppy Chief and Moon Group for their stewardship in maintaining this remarkable building for future generations of Redlanders to enjoy. Additionally, we commend the Redlands Conservancy’s vision to “demonstrate the positive economics of keeping our historic and architecturally significant buildings” for the future.